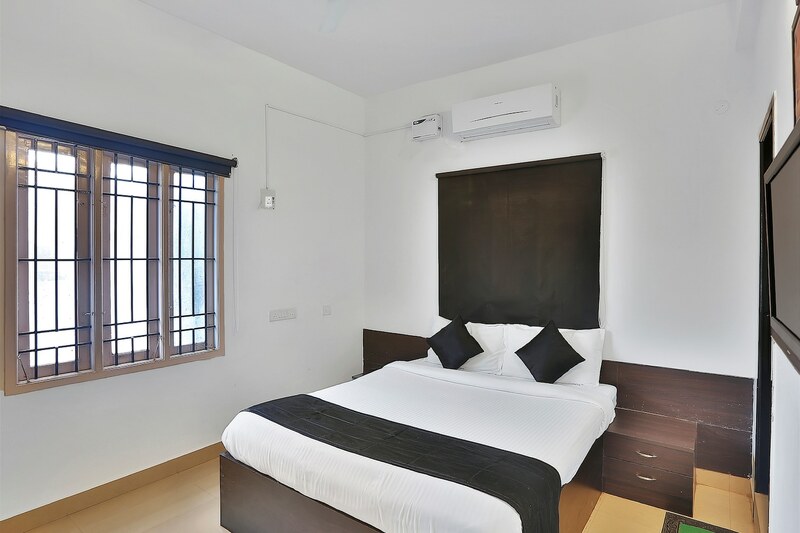 Cloud 7 Serviced Apartments is really a cosy place to stay. This place flaunts classic exteriors and extremely elegant interiors. The rooms are clean, spacious and well-kept. The sober colour of the walls gives a peaceful feel to the room, complete with a large wooden wardrobe, for you to store your luggage. The premises are monitored by CCTV cameras which add a layer of security over the comfort that this hotel provides. Filled with facilities like free Wi-Fi, parking lot and elevator, this place definitely asks for a stay. With a sober culture and warm ambience, you will definitely enjoy your stay.